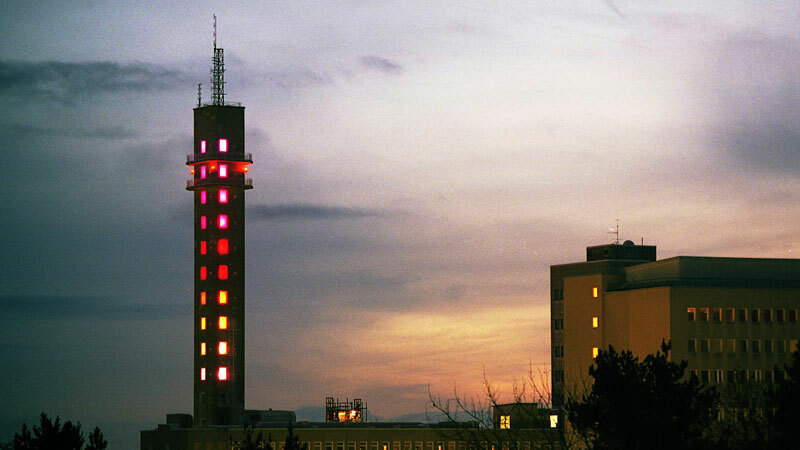 The 72-meter tall Phone Tower at the former headquarter of Ericsson at Telefonplan, in southern Stockholm, is a known landmark. It is the tallest building in the neighborhood for miles around. 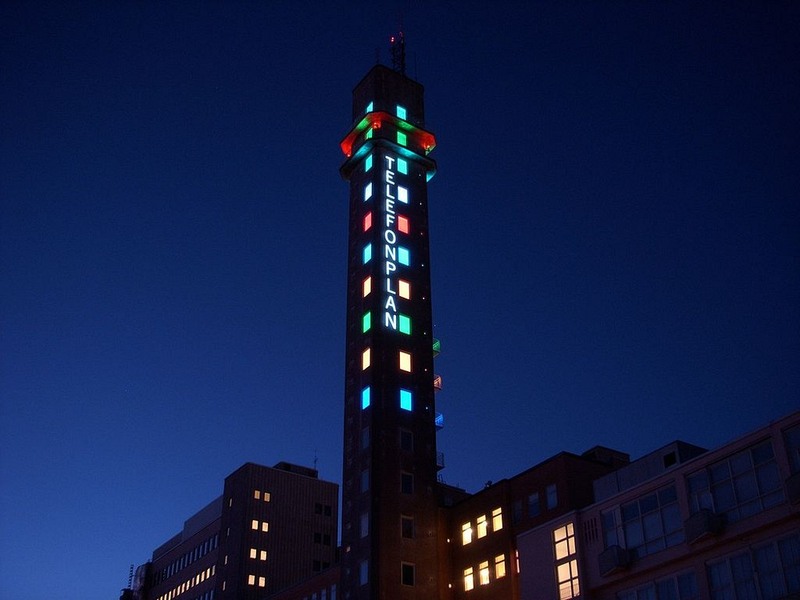 Every night, the windows of the top ten floors of the now defunct Phone Tower lights up with different colored lights. And the colors keep changing according to the whims of the public. The lights are wired to a computer, that reacts to how people touch the number pad on their mobile phones. The art installation was created by a collaboration between interaction designer Loove Broms, architect Milo Laven, and artist Erik Krikortz. 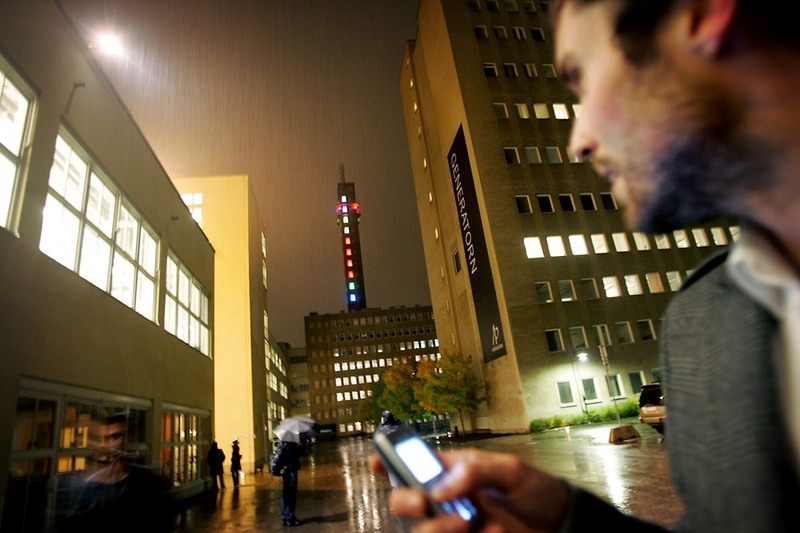 The light installation was first inaugurated as a temporary art installation at Telefonplan in 2006. Two years later it appeared in Seville, Spain. It became so popular that in 2011, Colour by Numbers became a permanent feature of Stockholm’s evening skyline. When the installation debuted in 2007, people had to call a number and then use the phone keypad to indicate which floor they want to light up and what color they want to use. When it was relaunched in 2011, a smartphone app was made available that made interacting with the lights so much easier. The LED lights used in the installation comes in the three primary colors—red, green and blue. Users can control the amount of red, green and blue, and thus create a vast array of different colors by their intermixing. By allowing members of the public to manipulate the lights, Colour by Numbers provide people with a sense of connection as if they were controlling and influencing their own environment.